Yesterday , Disney announced that they will be launching a new series of kid-friendly animated shorts called “Star Wars: Galaxy of Adventures” that will re-create in animation pivotal moments from the film franchise, along with reintroducing the classic themes and the iconic characters from the Star Wars saga to the next generation. The first six shorts will launch tomorrow on November 30th on their new website and YouTube channel dubbed Star Wars Kids. And it’s not just the idea. The animation looks lush. I think if Star Wars: Resistance had went with an animation style like this, I think more people would have welcomed the series. 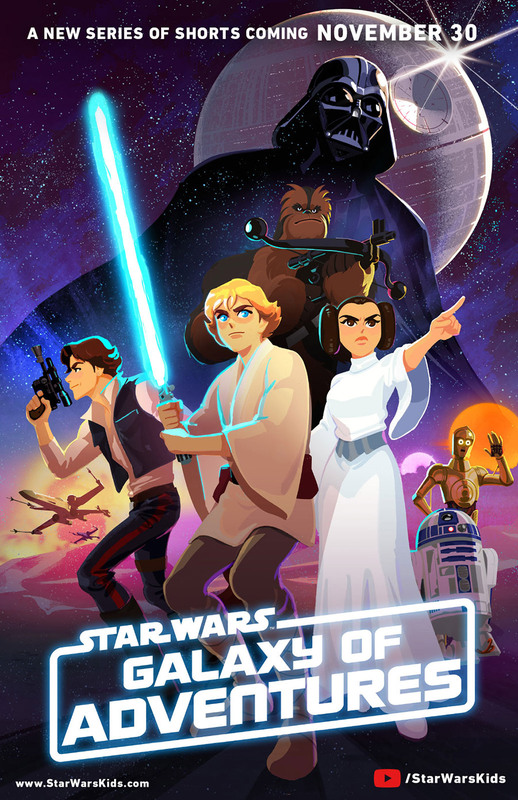 Will you be checking out Star Wars: Galaxy of Adventures and introducing your kids to it? Or will you be showing them the films first?